SLC Solicitors wishes to convey its deepest sympathies to all those who have been affected by the recent tragedy in West London. Clearly the awful and tragic events of last week’s fire, and the years leading up to the tragedy, have raised numerous concerns and questions about the structure, design and renovation of Grenfell Tower and many, many more blocks in the UK which are of similar design, age and will have been the subject of major renovations or upgrades. This will affect local authority housing stock as well as such stock sold off under mixed private and public ownership and now solely private ownership. Those involved in the management of such blocks will have been looking at their portfolios to ascertain whether any of the issues that appear to have affected the safety of Grenfell Tower will potentially affect those blocks under private management. Major works consultation is a necessity within landlord and tenant law and whilst there is a distinction under legislation between public and private landlords in relation to the consultation process it is hugely important to ensure that leaseholders are consulted with and concerns legitimately, carefully and sensitively dealt with. Whilst the remit of the public enquiry will be wide-ranging and include concerns of leaseholders to works carried out perhaps one of the outcomes of all the questions that are now being asked is whether leaseholder consultation before, during and after major works will be more exhaustive. Managing agents around the country will be reviewing major works carried out on buildings that have similarities to Grenfell Tower and will require support from a range of public and private bodies, as well as a variety of professional services including engineers, surveyors, health and safety advisors, solicitors and more to understand how best to protect tenants and observe absolute best practice. Agents will also look to see what emergency procedures they can follow and how best they can alert leaseholders and sub-tenants, subject to the obligations of their management contract with RMCs and others. Communication between management and leaseholders is key as is being able to respond quickly. Agents and self-managed RMCs will now look closely at how tenants are contacted urgently in the event of an emergency whether minor or major. SLC Solicitors has a specialist team that advise on the S20 consultation process. We are able to provide assistance on prescribed notices that must be served to tenants in advance of works, advice on how to effectively communicate with leaseholders and can guide you through this complicated and important process. We ensure that the best practice is carried out for both managing the block and also for the safety of your tenants. SLC are able to support you from start to finish, to discuss the Section 20 process in more detail or for advice on how to approach major works with leaseholders, contact Natalie Tellis-James on 0333 0 300 200 or email ntj@slcsolicitors.com with your query. 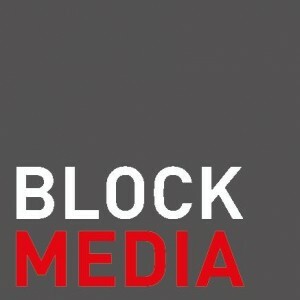 BlockMedia, a provider of resident management company websites for individual or portfolios of blocks supplied directly to managing agents or self-managed RMCs, has SMS, email and other facilities that can send alerts to registered leaseholders and sub-tenants who are registered users of their own block’s website of any reported activity that requires urgent notification to residents whether this relates to suspected on-site petty theft activity, anti-social behaviour or more serious causes of immediate concern. It also has facilities to report and log urgent and non-urgent repairs and maintenance issues to agents and directors of RMCs. Such websites are a support to block managers but clearly reviews of how management and tenants communicate in emergencies will be a key feature for many over the coming weeks. To speak about how BlockMedia can support the management of your sites please call Claire Tellis on 0333 0 306 060.